According to a new study published in the Journal of the American College of Cardiology, children who experience high levels of stress may be more likely to develop diabetes and heart disease during adulthood. Previous studies have already established that stress is bad for the health. According to the American Institute of Stress, stress is a primary cause of approximately 60% of all disease and illness in humans. For the study, researchers at the Harvard T.H. Chan School of Public Health in Boston, Massachusetts analyzed data of approximately 7,000 people who took part in the 1958 British Birth Cohort Study. Participants were born in the same week and were followed for approximately 45 years. Researchers collected information about each subject’s stress and mental health levels, at the ages of 7, 11, 16, 23, 33, and 42. Each subject’s blood pressure was checked and blood sample assessed for biological markers at the age of 45. This provided researchers with a cardiometabolic risk score that indicates a person’s risk for heart disease and diabetes. Researchers discovered that individuals who experienced high levels of stress throughout childhood and adulthood had higher cardiometabolic risk scores compared to participants who experienced low levels of stress throughout childhood and adulthood. The cardiometabolic risk for participants who experienced high levels of stress throughout childhood and adulthood was higher than the cardiometabolic risk generally associated with childhood obesity. The team adjusted the results to account for factors that could influence the cardiometabolic risk, such as medication use, health behaviors and socioeconomic status. In this case, they found that the cardiometabolic risk scores of participants who experienced high levels of stress during adulthood weren’t higher than participants who experienced low levels of stress throughout their lifetimes. Despite the influential factors, the team still found that individuals who experienced continuous stress throughout childhood and adulthood had higher cardiometabolic risk scores than those with low stress levels over their lifetimes. 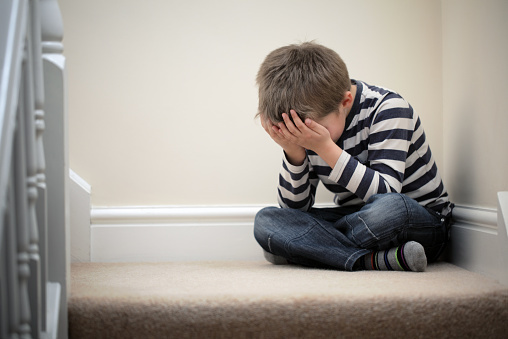 Whiteman, H., “Childhood stress may raise risk for diabetes, heart disease in adulthood,” Medical News Today web site, September 29, 2015; http://www.medicalnewstoday.com/articles/300143.php. Winning, A., et al., “Psychological distress across the life course and cardiometabolic risk findings from the 1958 British Birth Cohort Study,” Journal of the American College of Cardiology September 28, 2015, doi: http://dx.doi.org/10.1016/j.jacc.2015.08.021.